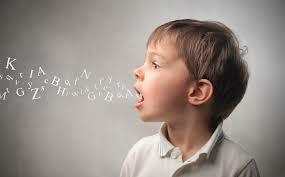 PANDAS PANS and Speech Delay Recovery Using Homeopathy, Boy Age 6! "All the concerns that I had with my son when I contacted Kari have been resolved through homeopathic care. The wealth of knowledge I have learned has not only aided my son on his journey to healing, but it has improved the health of my entire family." "In October of 2012, I was first introduced the world of homeopathy when I heard a one hour online talk by Kari J. Kindem, CFHom on the basics of homeopathy. I was totally hooked! I grew up in a home with a father who is an allopathic physician and a mother a nurse. The holistic world of medicine was not something we discussed over family meals. I became interested in natural health when I was having my three sons. I wanted my deliveries to be drug-free, so I sought out a mid-wife for my last two births. This was the first stepping-stone to get my family where we are today. My middle son, who is currently 6½ years old, was the first of my sons to begin working with Kari . He always developed slower than his older and younger brothers. He was chronically constipated at the age of one when I stopped breastfeeding, walked at 14 months, began speech therapy at 20 months and continued until the age of 4. He also experienced generalized low muscle tone. After a very thorough and comprehensive intake, we began our work with Kari in January 2013 for chronic homeopathic care. Through the detailed intake process, Kari described my son as vaccine impaired and having PANDAS symptoms; although, he had no formal medical diagnosis. She also had us test his stool, ASO titers, Vitamin D level and for the MTHFR gene mutations. My son tested positive for one of the MTHFR mutations, which makes detoxification challenging. He was low on Vitamin D levels and also had abnormalities in his stool sample. Through traditional homeopathic care and several adjuncts such as vitamin supplementation, placement of a home water system to remove fluoride, my son has made incredible progress. We have observed an increase in his awareness in his surroundings, decreased hesitation and anxiety when approaching novel situations, improved muscle tone, which has allowed for gains with sports and academics, sleeping through the night without waking, and lastly, resolution with constipation and nightly bedwetting. All the concerns that I had with my son when I contacted Kari have been resolved through homeopathic care. The wealth of knowledge I have learned has not only aided my son on his journey to healing, but it has improved the health of my entire family. I am forever grateful to Kari for the wonderful care she has provided my family." Below is a story of a PANDAS recovery in a young boy who also had speech delays. He was vaccinated and had a history of antibiotic use for ear infections and other acutes. His recovery with homeopathic medicine took place over a period of about 15 months in my practice. PANDAS is an acronym for Pediatric Autoimmune Neuropsychiatric Disorders Associated with Streptococcal infections. It is also known as PANS: Pediatric Acute-onset Neuropsychiatric Syndrome. This term describes a hypothesis that there are a subset of children with rapid onset of obsessive-compulsive disorder (OCD) and/or tic disorders and these symptoms are caused by Group A beta-hemolytic streptococcal (GABHS) infections. With PANDAS, children can have dramatic and sudden OCD exacerbations and tic disorders following streptococcus infections. The abnormal behaviors come on suddenly and are often overt and usually easily recognized. PANDAS has been associated with a wider range of related behaviors. Affected children can have any combination of the following symptoms: ADHD type symptoms, anorexia, anxiety, bedwetting, depression, germ phobias, mood swings, OCD, tantrums, repetitive motions or noises, motor tics, anger, rage and sensory issues. I used both chronic homeopathic remedies, nosodes and bowel nosodes in ascending potencies this child's case. We did acute dosing for various acutes that arose during care. I also used several nutritional balancing supplements, including Omega-3's, probiotics, Vitamin C, Vitamin D, iodine and a multi-vitamin that supports methlylation pathways with the correct forms of methlyfolate and methlycobalamin. These supports were on going during the period of his homeopathic care to support her immune system. This boy is now energetic, rarely sick, free from his PANDAS symptom and is finished with speech therapy. He lives his young life at a new level of health and vitality, thanks to homeopathy!